Let’s do it by dividing. 3 divided by 10 is 0.3. 0.3 times 100 is 30. So 3 is 30% of 10. The other way is to make our denominator 100. We can multiply both sides by 10 to get 30/100. 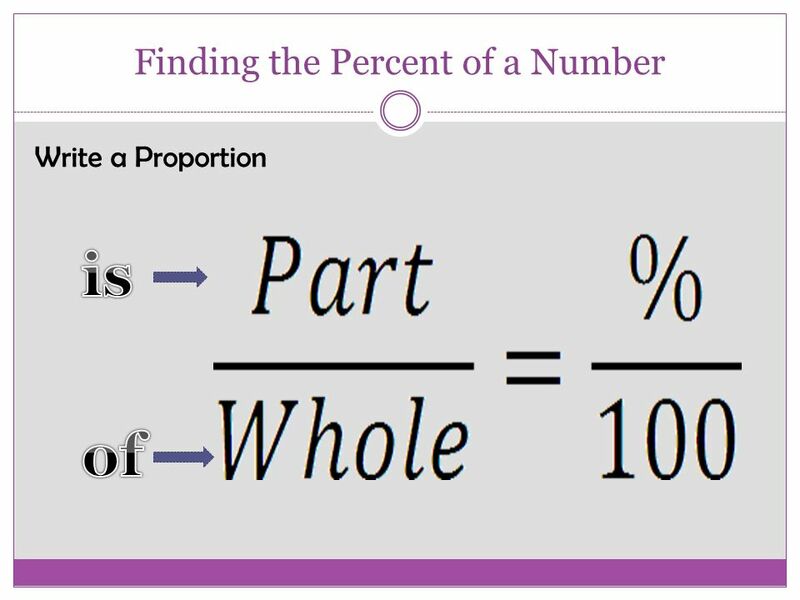 Since the denominator is 100, the numerator is the percentage. So we now have 30%. It is better to divide since you won’t always have a denominator that can become 100.... Let’s do it by dividing. 3 divided by 10 is 0.3. 0.3 times 100 is 30. So 3 is 30% of 10. The other way is to make our denominator 100. We can multiply both sides by 10 to get 30/100. Since the denominator is 100, the numerator is the percentage. So we now have 30%. It is better to divide since you won’t always have a denominator that can become 100.